I want to share some pictures taken in Braga Tuning Show in Portugal. 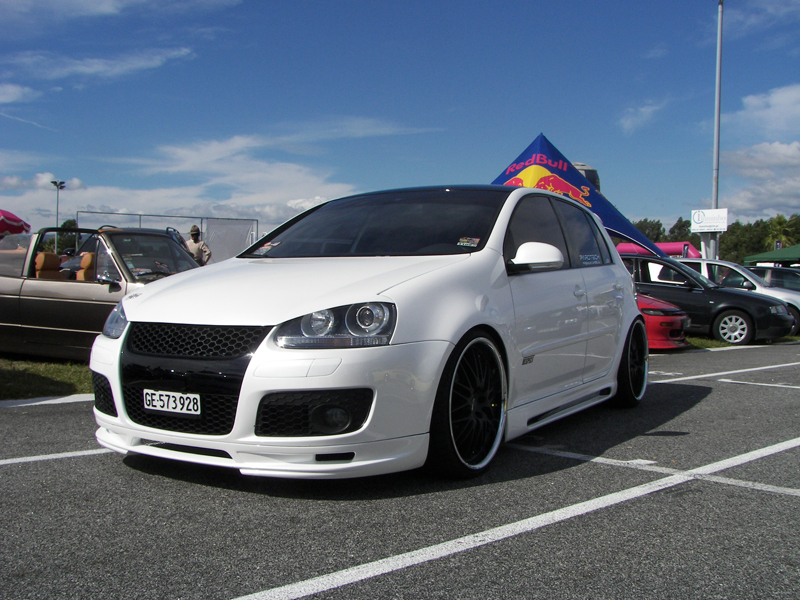 This GTI was modified by Garage Estoril, a tuning company managed by Rafael Fernandes located in Switzerland that makes all kinds of tuning modifications. The White paint with black painted roof and tinted windows and some other black details makes a great effect. It gets a bodykit with parts from ABT Sportsline and Rieger, lowered suspension, black tail lights, debadged. The Wheels have 19’’and are from Parotech.